PHOENIX — A Muslim man from Arizona was declared guilty on Thursday on charges that he helped to plot an attack on a “draw Mohammed” contest in Texas last year. 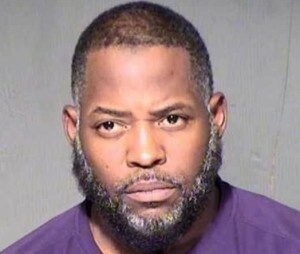 As previously reported, Abdul Malik Abdul Kareem, 44, had been charged last summer after investigators believed that he helped to plan the attack in Garland, along with Elton Simpson and Nadir Soofi—all three being from the Phoenix area. Simpson and Soofi traveled to Texas in May to attack the event, driving up to the Curtis Culwell Center near the end of the gathering and began shooting at a security officer. Police officers who were on duty for extra security then returned the gunfire with the suspects, fatally wounding them. Kareem was arrested after being connected to the incident as it was believed that he helped to plan the assault, provided the weapons carried by the men, and went with Simpson and Soofi to shooting practice to prepare for the attack. He was charged with conspiracy, interstate transportation of firearms, false statements, and felony possession of firearms. A federal grand jury later added a new charge of conspiracy to provide material support to a terrorist organization as it has since been alleged that Kareem, as well as Simpson and Soofi, had supported ISIS. The indictment says that Simpson and Soofi were carrying a printout of the Islamic State flag at the time of the Texas attack. According to reports, Kareen had researched travel to the Middle East to fight with the terror organization and encouraged Simpson and Soofi to carry out attacks in the U.S. as retribution for military action against ISIS . Prosecutors have also accused Kareem of watching and sharing jihadist videos, as well as seeking information about how to obtain pipe bombs to attack Westgate Mall and the University of Phoenix Stadium in Glendale during the 2015 Super Bowl. The three are additionally stated to have scoped out military installations for potential attacks. On Thursday, following a three-week trial, a jury of four men and eight women returned a guilty verdict on all five counts. Kareem hung his head as each was read. “In the first jury trial in the country involving a homeland attack committed in the name of ISIL, Abdul Kareem was convicted of conspiring to provide material support to the foreign terrorist organization and other federal offenses,” said Assistant Attorney General for National Security John Carlin in a statement. “The defendant conspired with Elton Simpson and Nadir Soofi to provide material support to ISIL and to transport firearms in interstate commerce with the intent to commit murder and aggravated assault. Kareem will be sentenced on June 27 as per Judge Susan Bolton. He faces up to 45 years behind bars.